KABUGAO, Apayao – Three persons were killed while three others were wounded when their jeepney that was loaded with sacks of corn lost its brakes and plunged into a 15-meter deep ravine at Sitio Musimut, here, Monday morning. Police authorities identified the fatalities as Roselo Udaundo, Catalino Jally and Jeric Jally while those injured were named as Tonigo Dandan, Laylay Bagyao and Jayson Siason, all residents of Musimut, Kabugao, Apayao. Initial police investigation that the six persons, including the driver, were on board the jeepney that was fully loaded with sacks of corn en route to the town proper wherein some of the said individuals were on board on top of the jeepney. 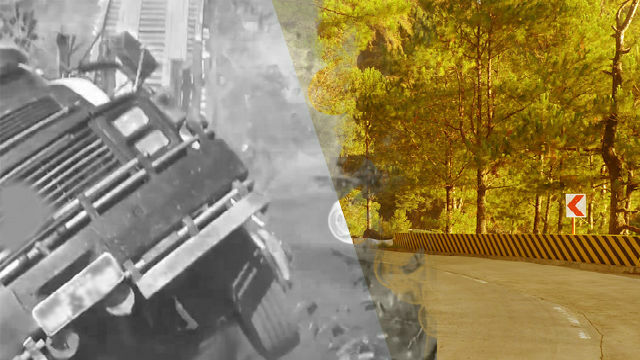 Upon reaching a sharp curve along the national road, the jeepney suddenly lost its brakes that caused the driver to eventually lose control of the vehicle until it bumped into a concrete barrier of a bridge before falling on a 15-meter deep ravine in the place of incident. Responding police operatives and emergency volunteers immediately rushed the rescued individuals to the Apayao District hospital but the three fatalities were declared dead on arrival by attending physicians due to multiple head and body injuries while the other occupants of the ill-fated jeepney are now undergoing close medical supervision in several hospitals inside and outside the province. Probers are still ascertain the real cause of the vehicular accident that claimed the lives of innocent individuals.